Update: Access TMA's Response to TN Together here. On Jan. 22, Tennessee Governor Bill Haslam announced a multidisciplinary initiative to address the statewide opioid epidemic. Taking a three-pronged attack focused on prevention, treatment and law enforcement, TN Together tackles opioid addiction through legislation, proposed funding in the governor's 2018-19 budget, and executive actions. According to information released from the governor's office, Haslam's FY 18-19 budget proposal will include a $30 million investment in state and federal funds to support the new initiative, which is expected to top the governor's legislative agenda this session. TN Together was designed in partnership with the General Assembly through the Ad Hoc Opioid Abuse Task Force established by Speaker Beth Harwell and chaired by Speaker Pro Tem Curtis Johnson, alongside a working group established by Haslam. Of the 1,631 overdose deaths in 2016, opioid overdoses accounted for 1,186 of those deaths (up from 698 opioid overdose deaths in 2012). In addition, more than 7.6 million painkiller prescriptions were written in 2016 - exceeding the state's entire population of 6.6 million that same year. "This is a crisis that knows no boundaries and impacts many Tennesseans regardless of race, income, gender or age. Our approach will be aggressive with provisions to limit the supply of opioids and significant state and federal dollars to provide treatment to those in need," Haslam said. "I applaud the collaboration and the considerable work of the House and Senate on the TN Together plan, as well as the judicial branch's leadership through the Regional Judicial Opioid Initiative and National Opioid Task Force, and I ask all stakeholders around this issue to work together to achieve real reform and action that will save lives." Major components of the plan (see box) call for legislatively mandated limits to the duration and dosage of opioid prescriptions with "reasonable exceptions," more education about risks and addiction for both the general public and healthcare providers, investment in treatment and recovery services, additional resources to address illicit sales and trafficking of opioids, more beds dedicated to prisoners fighting addiction, and equipping every Tennessee state trooper with naloxone. Tennessee Medical Association 2017-18 President Nita Shumaker, MD, said physicians look forward to getting more details on the TN Together plan and actively participating in the legislative and regulatory process. "Our priority within the medical community has been ... and still is ... prescriber education and prevention of substance abuse disorder. We have made some progress in reducing initial opioid prescriptions but still have a long way to go," she said. "We must continue to promote alternative pain management treatments that do not involve opioids while ensuring that treatments are covered by health insurance." She continued, "We do need to reduce supply and dosage, particularly for new patients and acute episodes like the hospital ER. At the same time, we want to make sure that any law(s) limiting physicians' ability to prescribe have reasonable exceptions to continue giving relief to patients in legitimate need, such as chronic pain, oncology or hospice patients." She added TMA is on record calling for more funding for drug treatment programs. "Tennesseans need more access to comprehensive, affordable programs that go beyond detox and offer more effective long-term results, especially for low-income people. It is important that funding is available for community support services after treatment, as well." Centerstone CEO Bob Vero, EdD, who oversees the national behavioral healthcare organization's Tennessee-based operations, added his support for the new initiative. 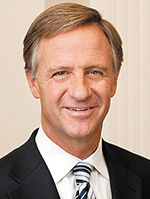 "Centerstone applauds Governor Haslam for his strong commitment to helping Tennesseans combat this deadly opioid crisis that is impacting individuals, families and communities across our state," he said. "TN Together sends a clear message - there is no single, simple solution," Vero continued. "Our approach must minimally address strategies and sufficient resources for prevention, treatment and law enforcement. It's time for greater collaboration and cooperation. It's an all-hands-on-deck call to implement strategies that will help save lives." 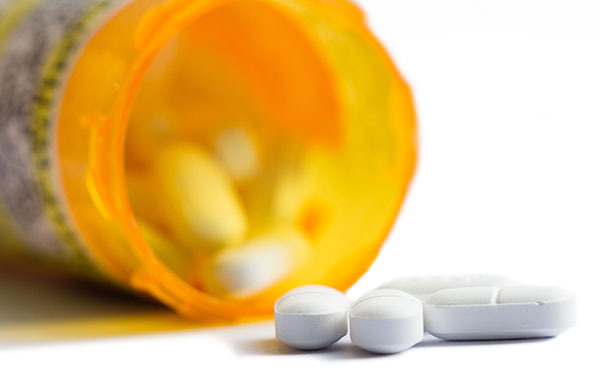 Legislation to address prevention by limiting the supply and the dosage of opioid prescriptions, with reasonable exceptions and an emphasis on new patients. Initial prescriptions will be limited to a five-day supply of drugs with daily dosage limits of 40 MME. Limiting coverage for TennCare enrollees to an initial five-day supply with daily dosage limits. Increasing prevention education in grades K-12 through revisions to the state's health education academic standards. An executive order, issued on Jan. 22, establishing a special commission to formulate current, evidenced-based pain and addiction medicine competencies for adoption by the state's medical and healthcare practitioner schools. Identifying women of childbearing age who are chronic opioid users and providing targeted outreach about risks and treatment in order to aid in the prevention of Neonatal Abstinence Syndrome (NAS) births. Investing more than $25 million for treatment and recovery services for individuals with opioid use disorder. These services will include an increase in peer recovery specialists in targeted, high-need emergency departments to connect patients to treatment immediately. Improving the state's data systems to better and more timely identify critical hot spots for targeting resources and increasing information about patient and community risks. Legislation that expands residential treatment and services for opioid dependence within the criminal justice system and creates incentives for offenders who complete intensive treatment programs while incarcerated - a best practice that is proven to reduce recidivism, improve lives and communities and save taxpayer dollars. Attacking the illicit sale and trafficking of opioids by providing additional resources to the Tennessee Bureau of Investigation for rapid response teams and, through legislation, penalizing the use and unlawful distribution of dangerous and addictive drugs, including those that mimic the effects of fentanyl, a drug that is up to 100 times more potent than morphine and is linked to an alarming number of overdose deaths. Providing every Tennessee state trooper with naloxone for the emergency treatment of opioid overdose.